Chinese Duhua table vase with off-white glazing on tapered body. 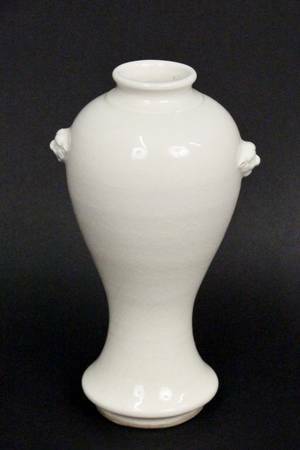 Porcelain vase with two applied Buddhist lion's heads below neck. Unmarked. Height 7.75", diameter of top 1.75".